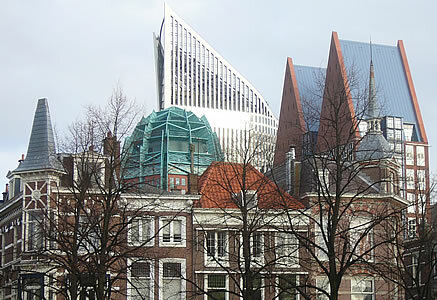 This page provides a brief introduction to the city of The Hague in the Netherlands. 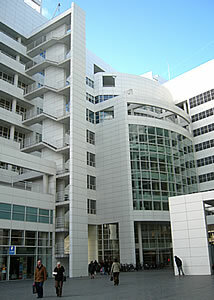 As well as being the political centre of the Netherlands, The Hague is also an international city of peace and justice. You can see many modern architectural styles in the centre. 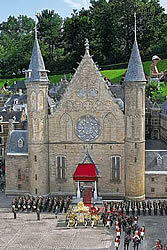 The Binnenhof (inner courtyard) is in the centre of the town. 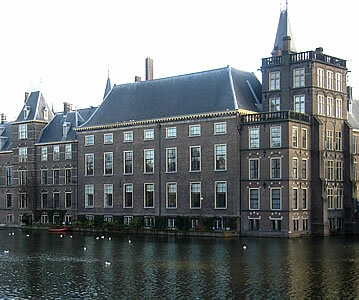 The First Chamber of the Dutch Parliament (the reviewing body, like the House of Lords in the UK) meets here, and the Second Chamber (the main law-making body, like the House of Commons) is in a modern building nearby. 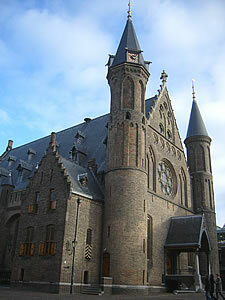 The Ridderzaal (Hall of Knights) is the oldest part of the Binnenhof, built in a Gothic style in the 13th century. Guided tours leave from in front of this building. In September the Dutch king or queen (currently Queen Beatrix) rides into the Binnenhof in a golden coach to open the new session of the Dutch Parliament. 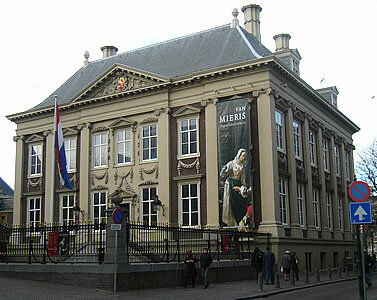 The Maritshuis is a 17th century mansion which is now an art gallery containing Dutch and Flemish paintings, including works by Rembrandt, Vermeer and Rubens. M.C. 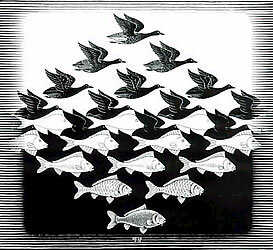 Escher (1898-1972) was a Dutch graphic artist who is famous for his works feature tessellations (repeating patterns) and impossible objects. He used a variety of printing methods, including woodcuts, lithographs and mezzotints. 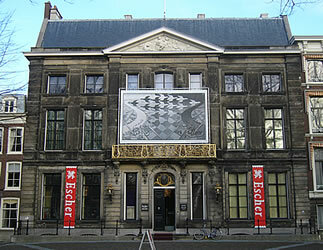 The Escher Museum (Escher in het Paleis) opened in The Hague in 2002, inside a former palace. 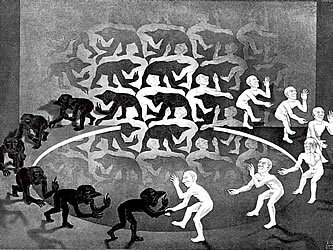 You can see many of his prints and sketches, and there is a multimedia journey through Escher's world called The Escher Experience. 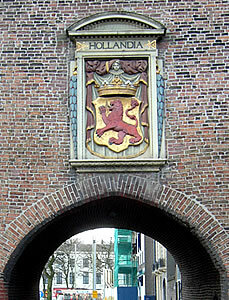 The Prison Gate Museum (Museum Gevangenpoort) is located in the building over what was once one of the entrance gates to the Binnenhof. For 400 years this was a prison, and it is now a museum containing a collection of instruments used for torture. 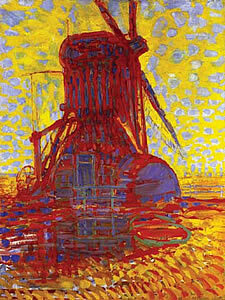 The Municipal Museum (Gemeentemuseum) includes a collection of modern art, with some early paintings by Mondriaan as well as works by Monet and Picasso. It also contains glassware, silverware, some 19th century paintings and a collection of early musical instruments. Next to the museum is the Museon (a museum of popular science) and the Omniversum (a planetarium and multimedia theatre). 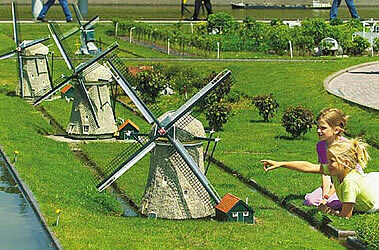 Madurodam is a theme park which contains miniature versions of landmarks in the Netherlands. The real buildings are 25 times taller then the models - on this scale even the children who are wandering about look like giants. Tram 9 goes from the city centre to Madurodam and on to Scheveningen. 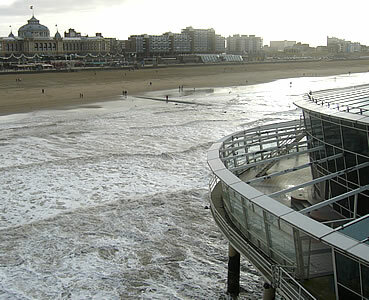 Scheveningen is a seaside resort with a long, sandy beach. A pier stretches out into the North Sea. 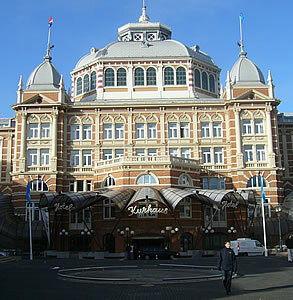 The most impressive building is the Kurhaus - this hotel was built in 1885 and has been visited by several European kings and queens. Nearby is Beelden am See - a pavilion which is now a museum containing sculptures of the human form (both indoors and outside). If you are staying in Amsterdam, it is easy to make a day-trip to The Hague (you could combine this with a visit to Delft or Rotterdam). The train journey from Amsterdam Centraal to Den Haag Centraal takes about 50 minutes. 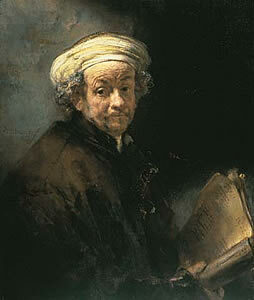 It is just a 10 minute journey from The Hague to Delft. To travel independently to The Hague from the UK, flying to Amsterdam Airport Schiphol is probably the easiest option. The train journey from Schiphol to Den Haag Centraal takes about 30 minutes.